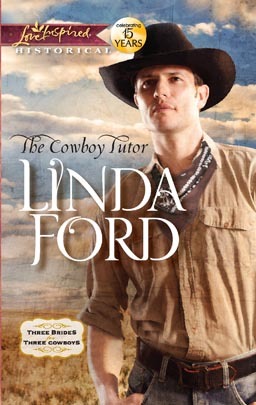 This past week I read The Cowboy Tutor, a Love Inspired Historical by fellow Canadian author Linda Ford. It’s the first of a three book series, releasing January to March, about how a mother helps her three daughters find husbands during the Great Depression. I have never read a Linda Ford book that I haven’t liked, and this book was no exception. I read it in one sitting, staying up until 1:30 am to finish it! From a family of three sisters myself, I enjoyed watching the interplay between the three vastly different personalities. But what resonated with me the most was how firmly the heroine believes that God will see her through every crisis in her life. She works hard, extremely hard, to keep her family together and from losing their home. Considering the world’s current economic situation, our faith is increasingly being challenged by similar crises. Your Turn: These characters lived during the Great Depression. Times were tough. What similar challenges are you or people you know facing today? How have these strengthened, or made you question, your faith? Did you live through the depression or hear stories passed down from parents and grandparents? I remember many stories my grandmother used to tell, and to this day I have a difficult time parting with clothes or fabric that could be recycled into quilts for the day when we can’t afford heat…of course, considering we live in a drafty old farmhouse and keep the thermostat at 63F most of the day, it’s little wonder!